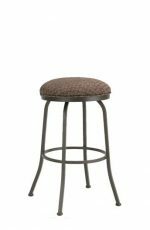 Holland's Voltaire XL Swivel Stool for Big & Tall People • Free shipping! Bring warmth into your kitchen or bar with the Voltaire Swivel Stool featuring a wood panel on the backrest in your choice of cut-out as well as a 2-inch thick seat cushion for optimal comfort. 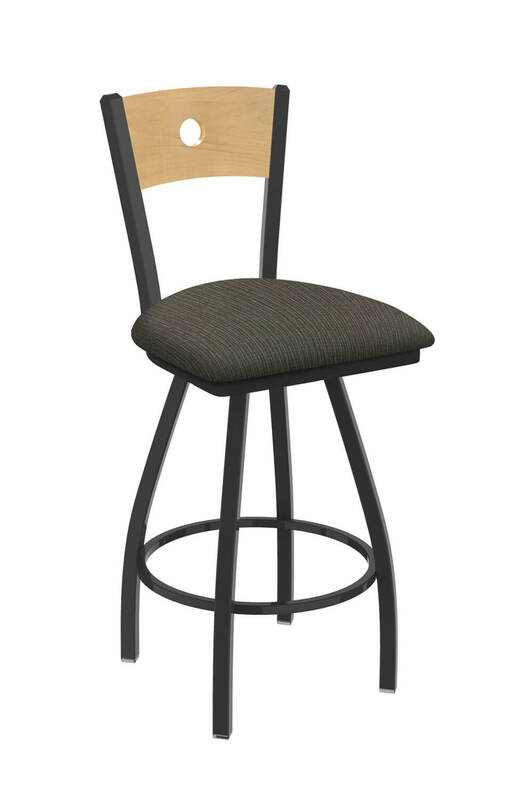 It’s also built to hold up to 750 lbs of weight, which is over double the industry average of 300 lbs! 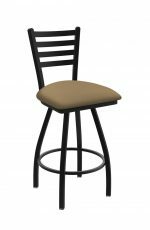 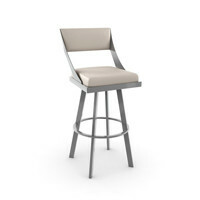 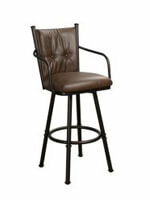 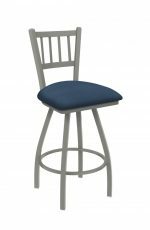 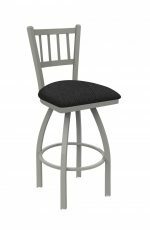 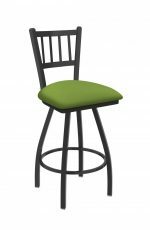 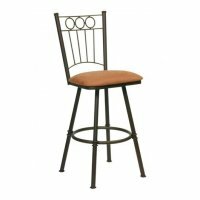 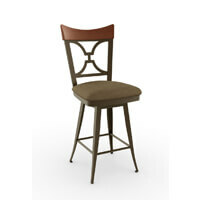 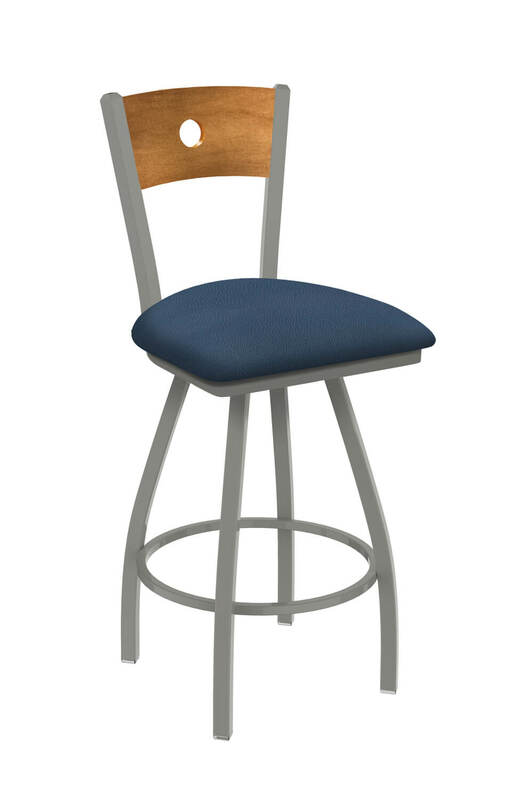 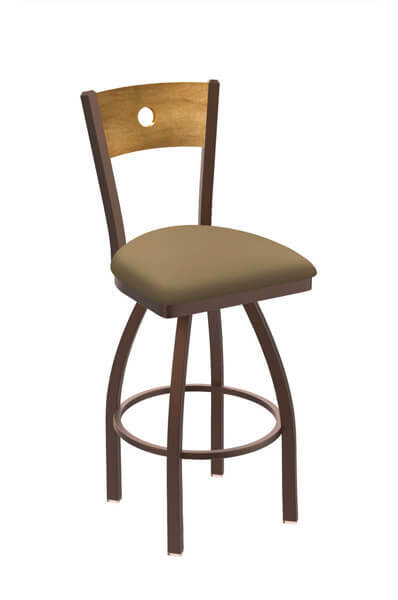 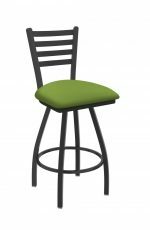 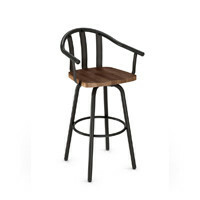 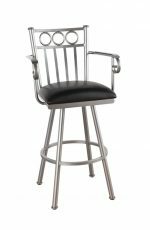 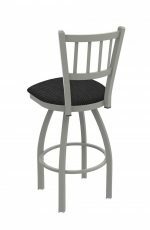 The Voltaire is the perfect stool for those looking for a larger bar stool. 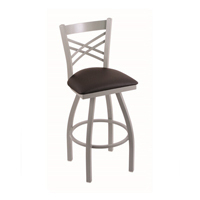 Strong and sturdy enough to hold up to 750 lbs of weight! 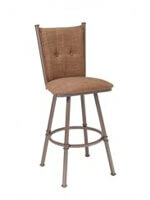 "Quality is amazing and I was very excited as to how fast they arrived. 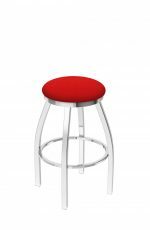 I live with all boys who are rough on everything and I believe these stools will win. VERY HAPPY"
"Our stools look beautiful, just what we wanted." 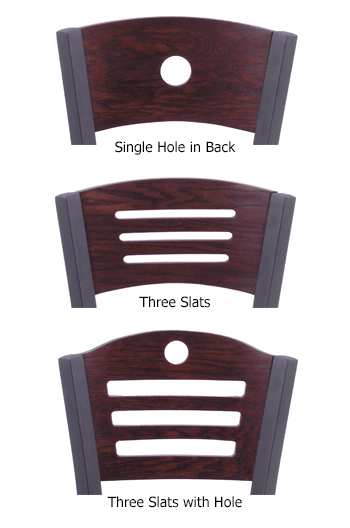 "The chairs are perfect! 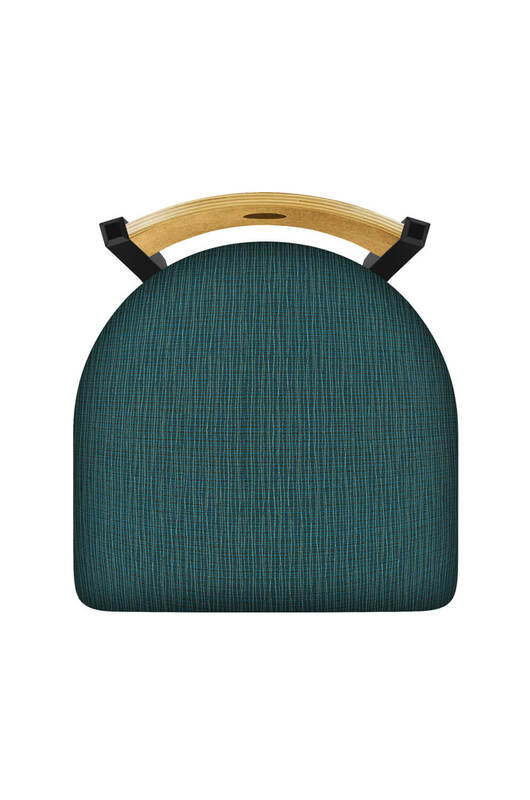 Colors true to website colors. 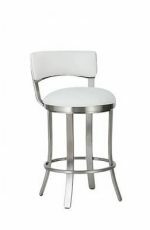 Arrived well packed and on scheduled delivery date. May order one more. Couldn't have asked for more. Thank you." 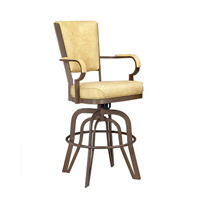 "Great chair! 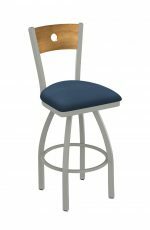 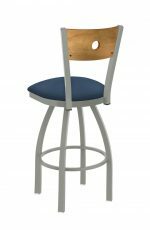 I love the comfort of the shaped seat, the support of the larger version, the variety of seat surfaces offered, and the ability of Barstool Comforts to customize the height with an easy customer request function. 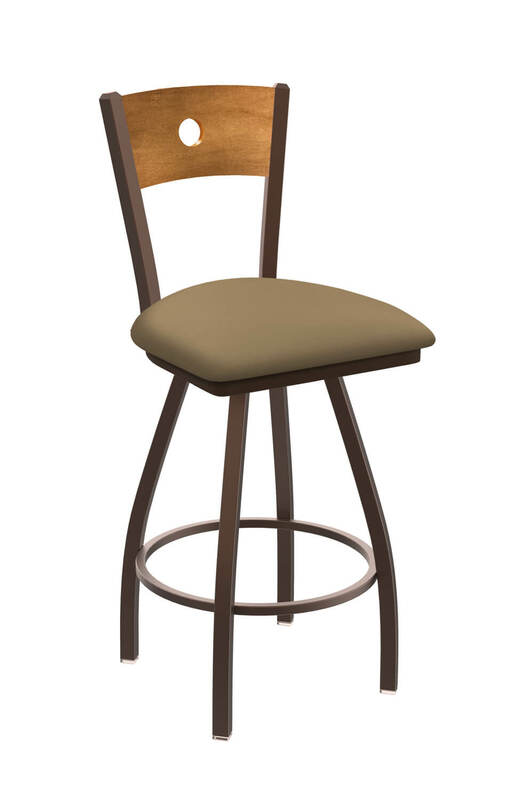 My only recommendation regarding bar stools in general is that I wish bar stools had a higher and larger-diameter over-sized foot rest supported by an extended ring outside the legs so that the sole of the feet instead of the ball of the feet rest on the support and at a less-tucked angle. 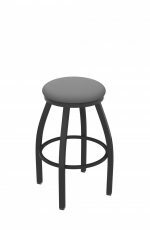 I had searched a lot for this and the only stool that seems to have this (from another mfr) has a tiny, uncomfortable-looking seat flat/round seat. Regardless, I still give this stool a 5 rating in comparison with current offerings." 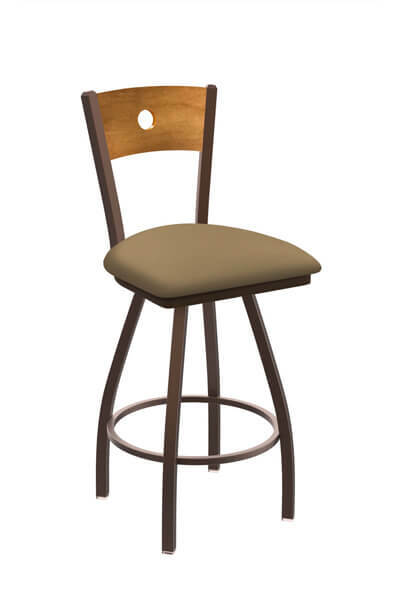 • For the Voltaire XL Swivel Stool #830, you will need 3/4 yard per chair.